For wine enthusiasts, there is nothing more enticing than trying wines from all corners of the globe! Send this selection of four wines for any occasion and treat your friend or loved one to new flavours from around the world! 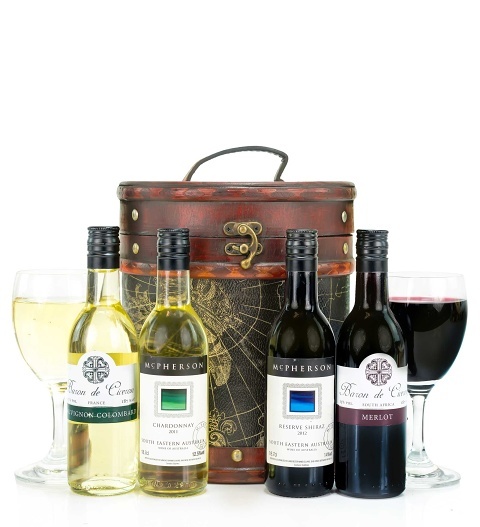 This selection of wines from South Africa, Australia, and France are all beautifully packaged in an elegant wine case and this hamper is available for UK next day delivery.